The first authoritative history of tap dancing, one of the great art forms––along with jazz and musical comedy––created in America. Seibert generously invites both the famous and nearly forgotten into his pages, making a case for why each of them matters as an artist. This is a big tent approach to dance history, and it’s an admirable one. 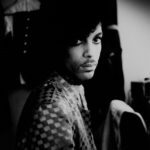 In his quest to redress thwarted careers, he at times drifts from the analytic into the archival. 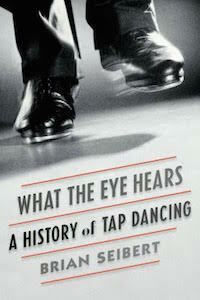 Indeed, as the book clocks in at over 600 pages, including coverage of tap overseas, some will guiltily wonder whether tap bears quite so very much a volume of attention...Seibert, though, does a sterling job of telling the story of where tap has been, and why it matters. What the Eye Hears is much more than a roll-call of tap stars. Mr. Seibert also stages a challenge-dance with the big themes entwined in tap’s history—among much else, the semiotics of minstrelsy and the constant tussle between old folkways and the new. His critical footwork dazzles. What did you think of What the Eye Hears?